yiannis krikis (thessaloniki, Greece) on 15 August 2010 in Cityscape & Urban and Portfolio. It's beautiful car! Nice shot! Πολύ ωραία λήψη, χρόνια πολλά για σήμερα ο,τι επιθυμείς! 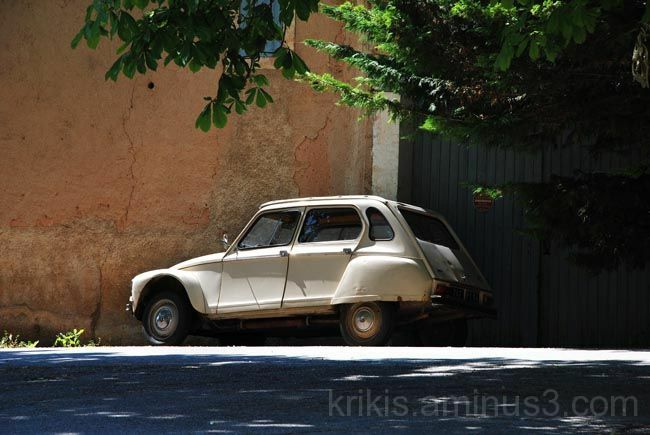 There are places where only a Citroen like this would look right. This is such a place ! wonderful capture! like Ronnie said, location is perfect. What a great little car. Love the light in this one. A fine shot with this vintage car.